We had a very small budget and even less time to build and release an Android app, but Mark and Emily made magic happen. They even came up with a feature that made the app super addictive to use. Kronos came in on time and on budget — seemingly without breaking a sweat. Emily helped me develop my business plan and how to reach my target audience through her expertise in website building and SEO. My business doubled, and I started to get the results I wanted. I have worked with others, and Emily far exceeds any others in this field! This review is long overdue. Emily was very professional, quick and hardworking. She helped me develop a logo and business cards. I highly recommend her! Very dedicated team making sure your image is noticed. Since I took over as web chairman for the New Jersey State League of Master plumbers Emily has helped me in many ways to understand how the site worked and has always been very helpful, accommodating and patient. I have been the web Chairman for the New Jersey State League of Plumbers for the past 3 years. Kronos Technologies not only built the site, they have stood beside it with their support. Always there when you need them and very accommodating. Emily thanks for all the advise and help you provide. We are now almost 1.5 years with our new website that Emily developed for us and our business has seen a 50% increase in that time. We have gotten great feedback on the site itself but our increased business is just as much due to the SEO we received and the resulting improvement in our standing on internet searches. When people search for our products they have many choices and if we’re not high enough on the search results they may not ever look enough to find us but that’s no longer a worry now that we’re toward the top of the searches. Being a non-profit it was important to us to have a cutting edge website at a reasonable price. Not only did we find that with Kronos Technologies, we found a creative and innovative team in Mark and Emily. They were very accommodating and patient considering our lack of tech-savy. They always looked at how they could make something work for us rather than this or that couldn’t be done. Emily took the time to understand our needs and made the process of laying out the site so easy. She took our vision and added her great taste and eye for style and created a great look and feel. Mark showed us how to plug in features to enhance the site and how we can plug in new features later as our budget allows. We now how our eyes on an events management module. We can even update and edit our site ourselves….great feature! We had a great experience with Kronos and recommend them to anyone who is looking for a professionally designed and built site at a fair investment. As incoming president of our organization, I wanted to initiate an entirely new way of doing things. I felt that after 80 years, we had grown accustomed to the instinctively cliché statement “well, we’ve always done it like this before”. I believe that once an organization has reached an involuntary “business as usual” mindset and method of operation, its decisions become based more on a habitual routine, than on an innovative philosophy or on prudent deliberation. It was for this reason I chose the theme “New Horizons” for my administration and started us out on the journey in search of them. A few months before I assumed the presidency, I was given two telephone numbers at the same Executive Board meeting which was held at our Camden County Association. I had been trying to have a new website created for several years for the “League”. At one point, I had even created a new one myself using the now discontinued Microsoft Frontpage website development software. You see, the company who had created our original website had fallen into that same “business as usual” mindset and IT WAS NOW REFLECTED ON OUR WEBSITE! Well, as fate would have it. I called both telephone numbers. The first phone call consisted of blah, blah, blah, I’m sorry, what was the name of your company, how much do you want to spend? However, when I called KRONOS TECHNOLOGIES and Emily answered the phone, I immediately sensed an entirely different way of doing business. A vendor actually asking detailed questions about our organization? Someone who listened to what our mission statement and vision was? Someone who interjected sensible ideas to compliment the ones she had acquired by carefully listening and then quietly asking and making suggestions in the context of our “conversation”, instead of navigating through a bulleted punch-list of “boiler-plate” questions? I knew this was going to work out well! Mark and Emily have exceeded every expectation I had for our new website. Working with my original ideas and the components which generated the website I had created to replace the State Leagues “business as usual” website, they formulated a plan and methodically employed it, while helping me to keep on schedule with my submissions of page intro’s and other materials. I even gave them a very time sensitive deadline for “going live” with our new website on the day of my inauguration. I wanted to emphasize to our members what is possible by pursuing “New Horizons” instead of futile attempts at “chasing rainbows” as with the “business as usual” approach. Their constant involvement with me personally during the design and development phase and their flexibility to seamlessly transition to an integrated working relationship with the chairman I appointed to that committee, speaks volumes of their commitment to offer the highest degree of service and customer satisfaction. It is by far, one of the best business relationships the New Jersey State League of Master Plumbers has ever been involved with in our 81 year history as “The Largest State League of Master Plumbers in The Nation”. Therefore, it is without hesitation and in high regard that I offer Mark and Emily Lamboy my warmest recommendation and Kronos Technologies, the endorsement of the New Jersey State League of Master Plumbers. I encourage you to visit our new website at www.njslmp.org and see what pursuing “New Horizons” can do. My wife Nikki and I own Carpet Connoisseurs. We maintain and install carpet and flooring. We met Emily at a barter show and hit it off immediately finding out we had lots of mutual friends. We decided to use them for our web site since our original site looked cheap and antiquated. We were very pleased with the results and have received many compliments on its style and professionalism. It has in turn brought us new business and increased sales. They were also easy to work with and had lots of great ideas. I would highly recommend them to anyone! We started a business about 5 years ago somewhat out of the blue and created our own basic website, all in a very short amount of time. Our simple web design worked fine in the beginning as we were getting the business started but we realized that eventually we’d need a full service site that could cater to all our specific needs and those of our customers in order for us to grow the business. We wanted something that would set us apart from our competition. We met Emily and Mark quite accidentally and after finding out what business they were in we started talking about what our needs were to see if they might be able to provide us with what we were looking for. Since we offer a custom designed product with some unique requirements the entire process consisted of a few back and forth conversations and emails exchanges of different ideas. In the end they created a very user friendly site that encompasses all the features we wanted to provide our customers. We’ve gotten great feedback from customers who typically spend time comparison shopping before they purchase and often compliment us on the manner in which our site is setup, how easy it is to see what we have to offer and how simple it is to complete the ordering process. Working with Emily to develop my logo was a pleasure! She took the time to get to know me, my services and my design thoughts. Then she assimilated them to provide creative and diversified options. with a human touch. Thank you, Emily. I chose Emily Lamboy because I think she is a great person! After meeting at a networking event and learning we had a shared interest in Holistic Health, I knew Emily would be someone I would want to do future work with. Emily and I agreed to work on a logo together to promote my budding Massage Therapy practice. My focus is on Stress Relief and Stress Education. Emily created a beautiful and unique logo for me that looks professional and conveys the essence of what it is I am trying to promote. An added note, Emily is also very oriented to the client and their desires, while giving what she can of her extensive branding knowledge to help the client make the right decision when creating their logo. I am extremely satisfied and I look forward to doing more work with Emily and Kronos technologies in the future. After speaking to several web designers I chose Emily Lamboy of Kronos USA to create and host my site and it was a great decision. Not only does my site look great, which was a priority for me as an Interior Decorator, but the site is functional and easy to use and update. As a novice that is wonderful. Emily is knowledgeable, patient and truly interested in building a site to meet her clients needs. She isn’t a cookie cutter web designer. I highly recommend Kronos Technologies services to anyone looking to build a website from scratch or wanting to bring a current site up to date. 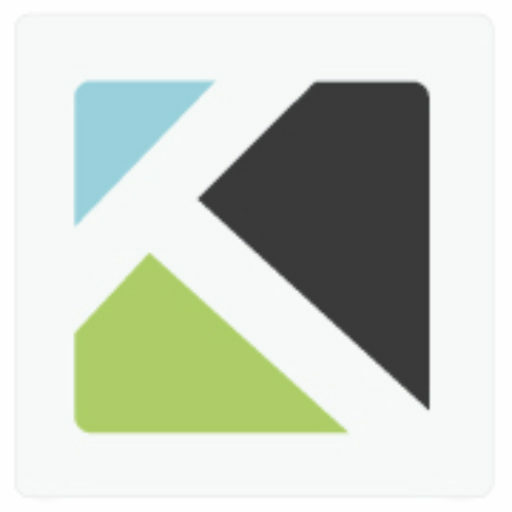 As a non-techie I am so grateful to Emily and Mark at Kronos Technologies for anticipating all the needs of an attractive, practical and functional website that lets us introduce our instructors, classes and services, update our calendar, and interact with students and visitors without a hassle! We’ve had many compliments on the design and layout. AND Emily and Mark are readily available for technical support when a technologically impaired person such as myself needs a hand! I need to take some time out to tell you how happy I am with the new website you guys have created for my business. When I first spoke to you on the phone, I had a good feeling about your abilities to follow through on the actions that you portrayed, as to creating a website for me. I have tried working with other website creators and have had little or no luck and ended up asking for a refund as they never moved forward. It seemed they wanted me to do all of the work myself. Then only eight days later you notified me that my site was completed and I could go live. I was stunned. After viewing the site for the first time I was pleased to see an introduction on the first page that I did not even give you. I could not believe all of the research that you did so as to give the best correlation between my site name and the factual description of my profession. You are good, really good! I am looking forward to working with you in the future on a new project and I also feel like I have met a new friend. Thank you for making this so easy and so much fun. Nunzio Ristorante Rustico has had the pleasure of working with Kronos Technologies for several years. They are very skilled in creating not just an image but the essence of the company’s spirit and mission. Our public and clients respond very positively to our brochures, website and ads created by Kronos Technologies. We highly recommend their services. Several years ago, I met Emily and Mark Lamboy. They immediately impressed me in terms of the individuals they are personally and professionally. I made an immediate decision that I wanted to get to know them better, become friends and work together professionally. I have done so and am continually amazed as to how wonderful, special and competent they are. In today’s economic environment, most of us have to continually consider and determine what is the most productive way to utilize our time and the funds we have. Even though my Holistic Life Coaching practice is in its infancy stage in terms of income, I knew I needed to create a market presence and offer a clear, concise and inviting view into what I hope to provide for my clients. I knew a expertly created website had the potential of doing just this. In considering how I wanted to proceed, my father’s sound advise came to mind, “Lorraine do what you do best and hire competent professionals to do the rest. I made a decision to speak with Emily about creating my website, an integral vehicle by which my business would prosper. Emily was thrilled with the opportunity of assisting me with growing my business. Emily and I brainstormed for hours; she listened to me, understanding what I envisioned and asking questions to the answers she needed in order to create a website that would offer me, my business and my clients the best possible tools of success. As we continued through the process of creating my site, Emily continually amazed me; she committed to and created a website that offered me more than I could ever imagine. Not only is her amazing creativity, stick-to-it-ness and understanding and ability to create the best website I have ever seen apparent; I felt as if she created my site not only a result of her supreme abilities but with love, as well. I would recommend Emily to every person and business owner I know – a website such as Emily is capable of creating has the potential of assisting each of in ATTAINING OUR VISION!